Our DK-LOK® V96 Series Rising Stem Plug Valves are designed with high and low pressure flow control systems in mind. Every valve is factory tested for leakage at the seat to a maximum allowable leak rate of 0.1 SCCM. Stem seals are tested to a requirement of no detectable leakage using a liquid leak detector. Several configurations are available for system installation requirements, including panel mounting option. 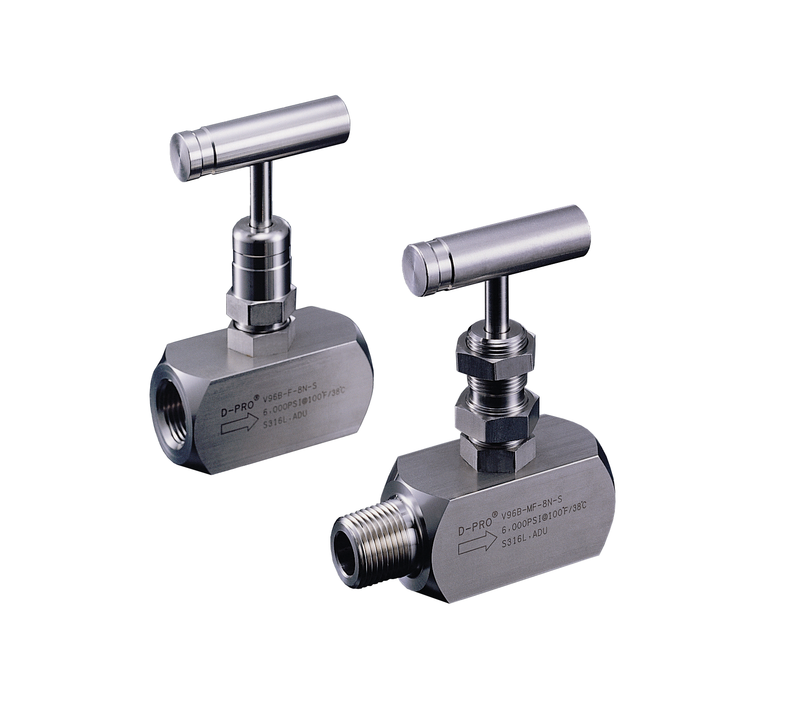 Our V96 Series Rising Stem Plug Valves are also available in gauge root designs with 1/4″FNPT or ½”FNPT gauge ports.